Domain names are used in various networking contexts and application-specific naming and addressing purposes. They are organized in subordinate levels (subdomains) of the DNS root domain, which is nameless. The first-level set of domain names are the top-level domains (TLDs), including the generic top-level domains (gTLDs), such as the prominent domains .com, .net and .org, and the country code top-level domains (ccTLDs). 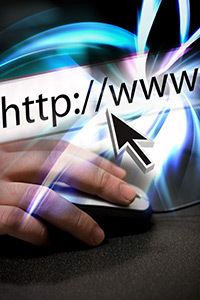 Below these top-level domains in the DNS hierarchy are the second-level and third-level domain names that are typically open for reservation by end-users that wish to connect local area networks to the Internet, run web sites, or create other publicly accessible Internet resources. The registration of these domain names is usually administered by domain name registrars who sell their services to the public. The top-level domains (TLDs) are the highest level of domain names of the Internet. They form the DNS root zone of the hierarchical Domain Name System. Every domain name ends in a top-level or first-level domain label. Below the top-level domains in the domain name hierarchy are the second-level domain (SLD) names. These are the names directly to the left of .com, .net, and the other top-level domains. As an example, in the domainen.wikipedia.org, wikipedia is the second-level domain.